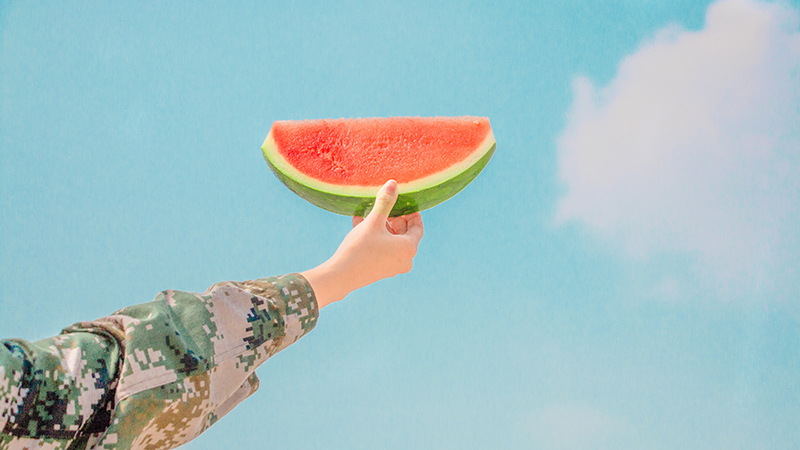 Warmer weather is just around the corner, and you know what that means: Picnics, barbecues, family reunions, and lots of juicy watermelon to go around! 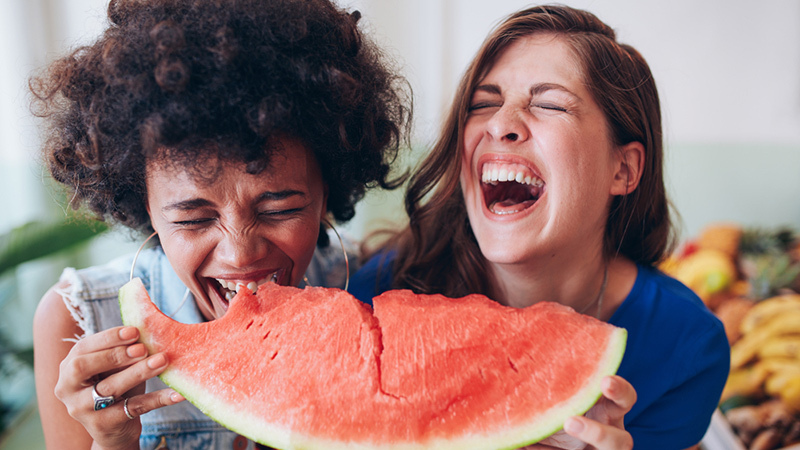 Watermelon is one of the most delicious summertime fruits for feasting on and though it’s nearly 90 per cent water, it boasts a host of health benefits, too. Read on to find out more about this little slice of heavenly fruit. 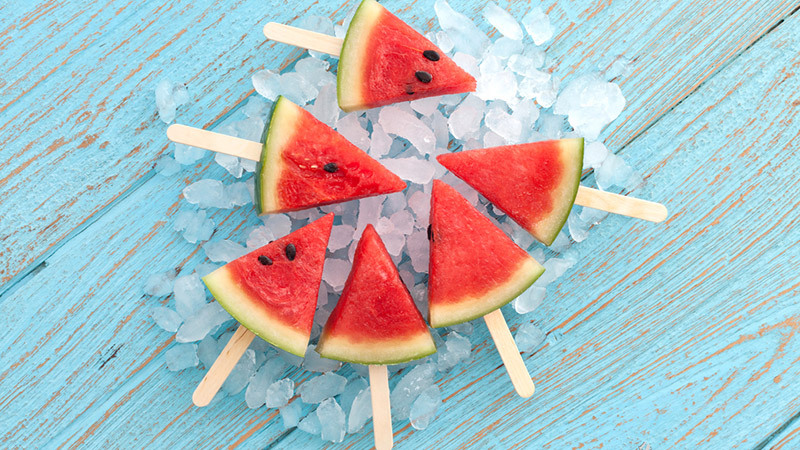 Believed to be due to the L-citrulline in the fruit, both watermelon and watermelon juice are shown to help relieve muscle soreness. 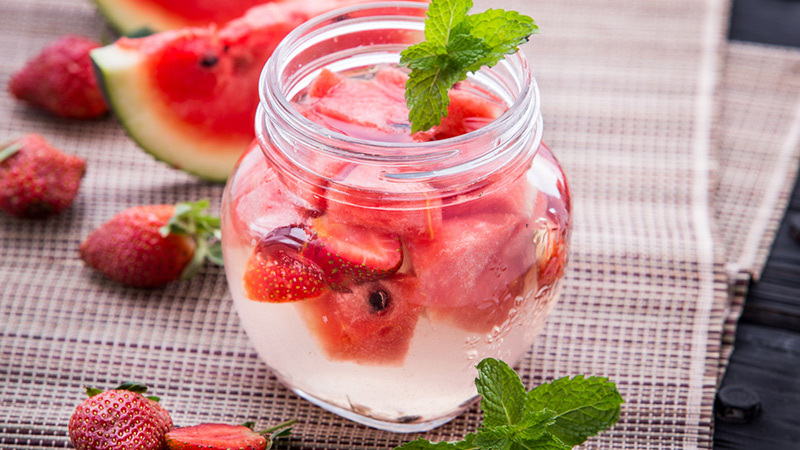 This is great for athletes, because those who drink watermelon juice before a workout had less soreness the day after and a lower heart rate. There’s no better way to get that summertime glow. 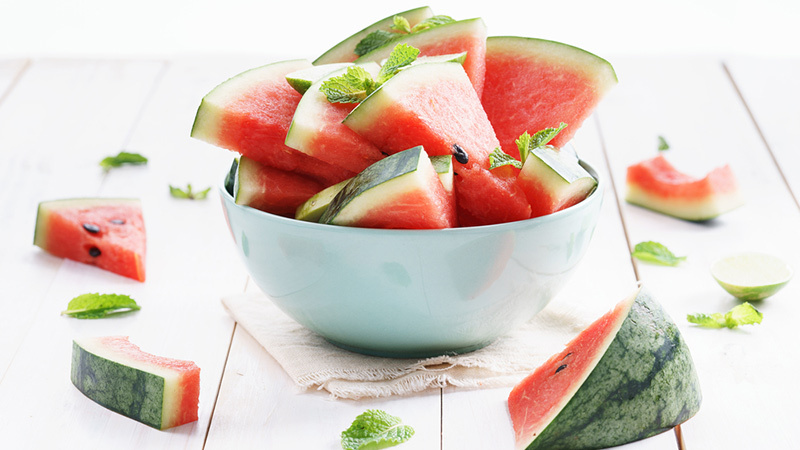 Watermelon contains vitamins A & C, which are instrumental in maintaining healthy skin. Vitamin A is necessary for sebum production and Vitamin C is a building block of collagen, which provides structure for the skin. 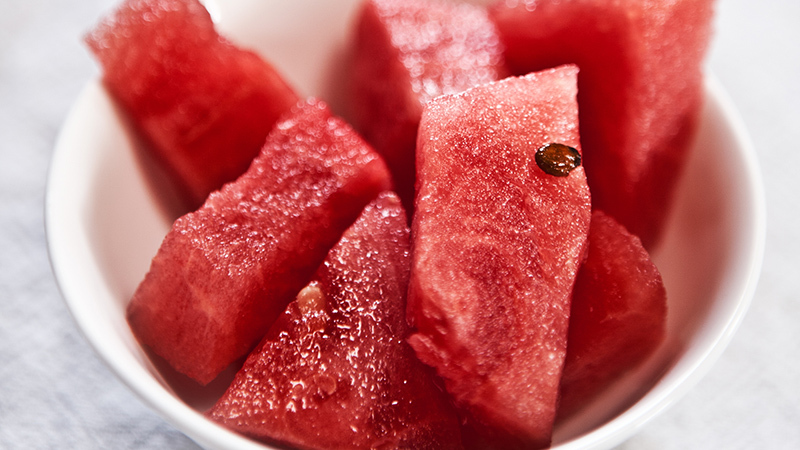 Since watermelon is full of water, it will also keep your skin hydrated and youthful. Another great thing about vitamin C is that it is one of the key nutrients in helping prevent asthma. 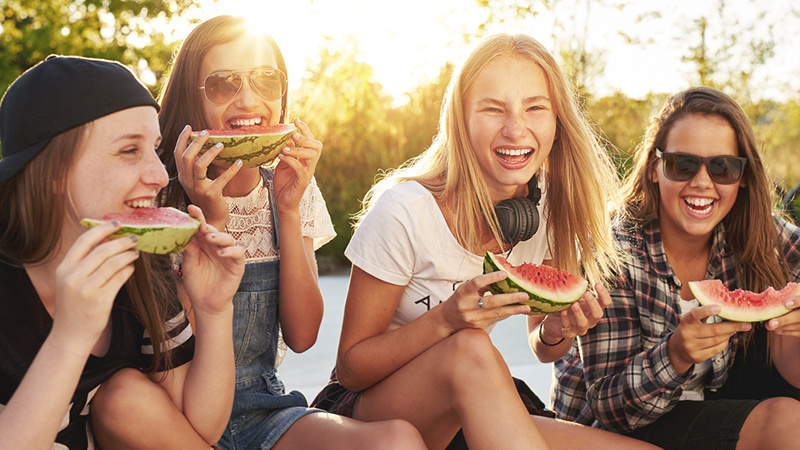 People who take in a large number of nutrients like vitamin C are less likely to develop asthma, and those who currently suffer from the disease can also eat watermelon as a natural treatment. 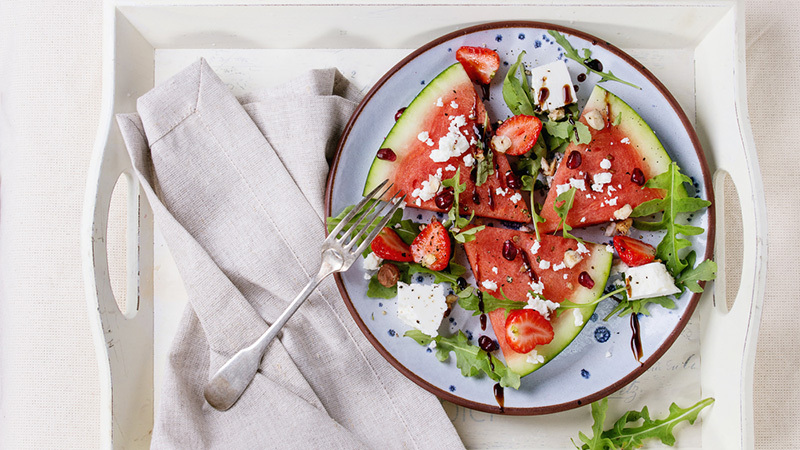 According to Brown University, research suggests that foods like peanuts, avocado, and watermelon are great fruits to eat to reduce PMS because they contain vitamin B6. Watermelon Benefits: An Unconventional Asthma Treatment? I never knew the health benefits are these numerous but the ideas you shared threw more light on this food item and it’s nutritional benefits. Thanks for writing.